One of my favourite and successful website projects was for ‘The Hobbit Pub‘ in Southampton. It is one of my long standing drinking holes and was a pleasure to take on the requested new design and build. The original website struggled from old web build techniques which lacked modern web design techniques with the accompanying accessibility issues of old coding styles. 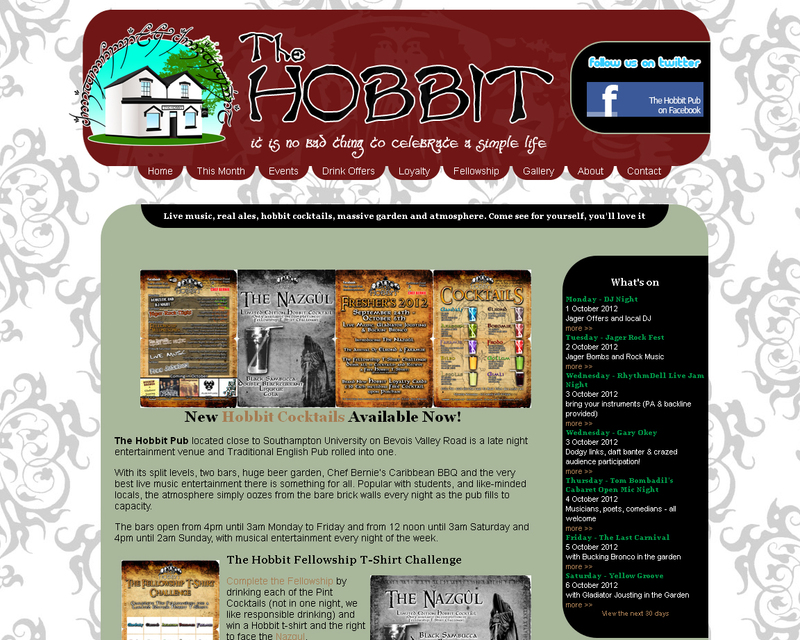 Over the years the website has ‘evolved’ especially in recent time after Hollywood caught sight of the bar and the rights of using the name ‘Hobbit’ was brought into question. This resulted in world wide publicity via Facebook creating 18,000 hits every day for the next few days, quite a jump from the normal few hundred (my faith in my recommended hosting company was set in stone that week, www.ukhost4u.com.